Seriously; which ship and crew would you rather be a part of? 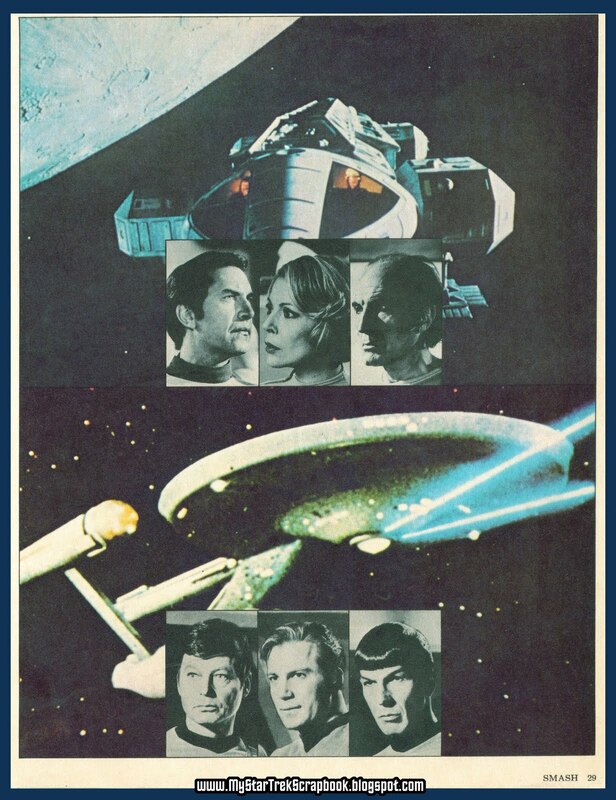 It was 1975...I was in the 11th grade in Ft. Lauderdale, and there was this show about to come out that had the temerity to try to "replace" Star Trek! The unmitigated gall! No show could do that! I was against it before I ever saw it for that reason (although I did watch it when it came out and kind of enjoyed it). 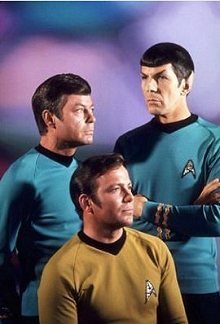 I didn't realise that all the "Trek replacement" talk was only generated by the articles being written about it, not the show's producers. 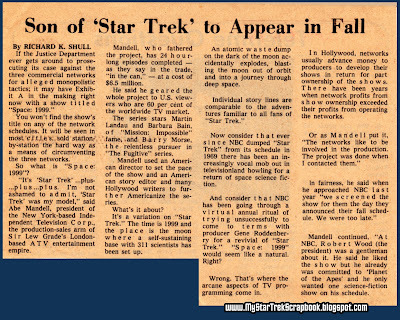 You hardly read an article about "1999" without there being a reference to Trek in the headline. 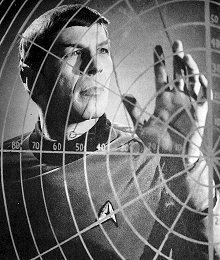 "Enterprise to Eagle One... have you seen our moon anywhere lately?" 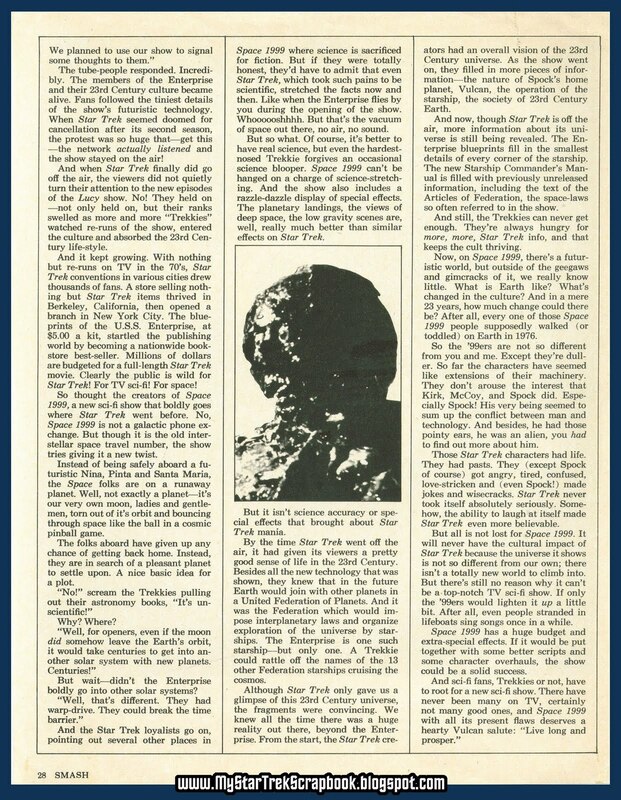 The article posted this time came from the teen-oriented "Smash" magazine, and true to form it placed the two programs in competition against each other, although one was new and the other nearly ten years old. 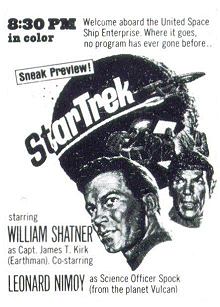 It was to Trek's credit that it could hold it's own and even be superior to a program coming out a decade later. The article is really more about Trek than the new show, which is recognizes as having problems, but on a TV schedule mostly barren of science-fiction, any new show done halfway decently would be welcomed. 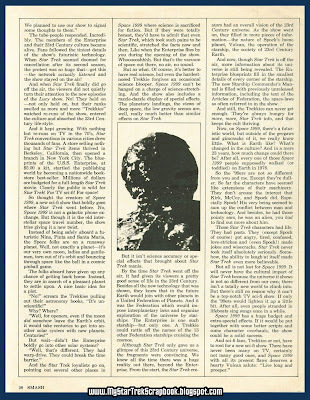 Below is the first article about the show that I ever saw, and it did the most to predjudice me against it. This was clipped in the summer of 1975 from the Macon Herald. 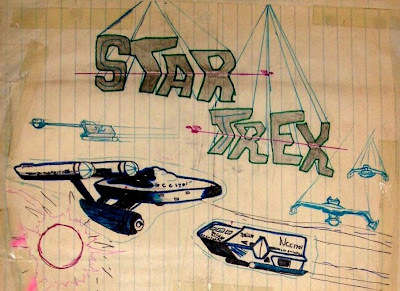 Bonus (as such): Below is my very first Star Trek drawing of any kind, done when I was 11 years old, inspired by my only exposure to the show up to that point, the Gold Key comic. You are free to feel superior. I actually love the designs for Space 1999 - the costumes, the sets, the stun gun anc commlock, and especially the eagles - and the actors were perfectly fine (especially Barry Morse, who was sort of Patrick Stewart before Patrick Stewart), but the stories and plots really left me cold. Kudos on your drawing, sir. 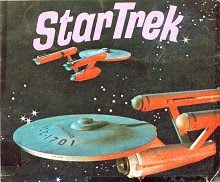 I have always loved that Gold Key Star Trek logo, with the Enterprise zipping through. You can almost hear the whooooosh! Thanks for the comment! I sometimes feel it's just me and you around here! :) But that's okay. I enjoyed 1999 with reservations, but the strongest point was the designs and effects, no doubt. If only the stories had held up. I was usually left going "Huh? Did I miss something? That made NO sense!" UFO (to which 1999 was a sequel in my mind) had been a more straightforward adventure show, and I had liked it more. esp. the purple-wigged hotties! Thanks for the compliments on my childish efforts at making my own Trek! I have good memories of those times, mostly centering around my interests, in spite of the home life. FWIW, I'm still here. I think. 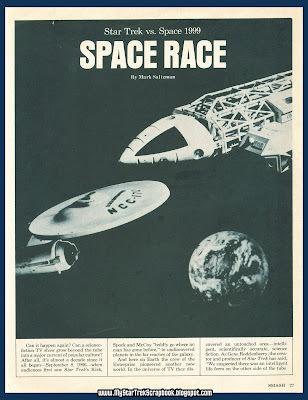 My major memory of Space: 1999 is that it was the disappointment of the decade, or something like that. To this day I can't watch any of the Gerry Anderson shows without laughing uncontrollably and/or falling asleep. 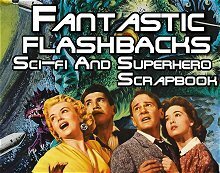 The worst of Irwin Allen is fantastic high entertainment by comparison. glad to hear you're still here too! 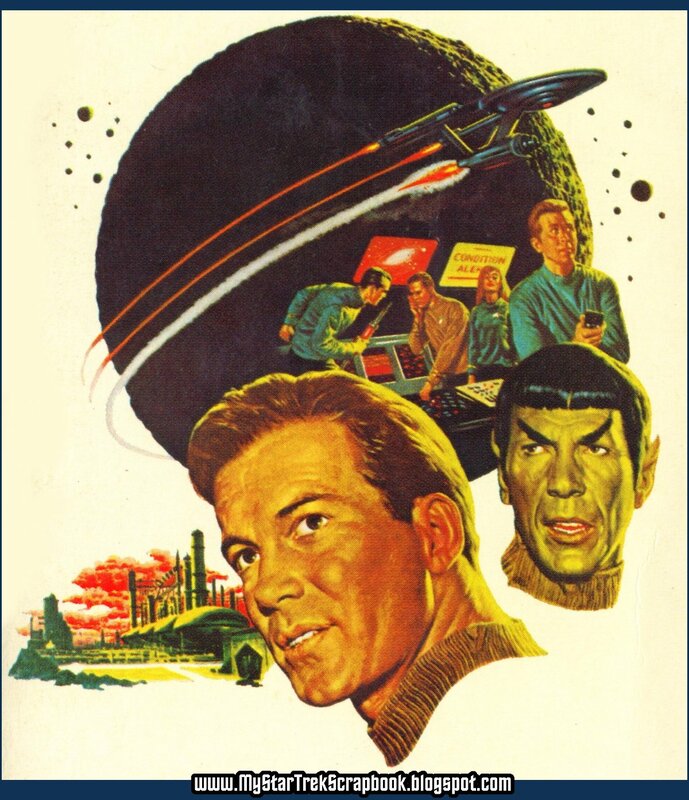 I can't say I was disappointed with it, rather, I went into it with a critical eye because it was being touted in so many areas as the "new Star Trek" and I was not very open to it. But it's true that after the exciting credit sequence, one would expect a little more action and adventure, rather than slow-moving, puzzling "2001: A Space Oddysey" type events where you don't really get what's going on. Plus for a show that seemed big on practicality and realism in the design and effects, the stories undermined that with nutty stuff happening. It's true that even at his most rediculous, Allen's stuff was usually entertaining, at least. I'm glad I wasn't the only one who scratched his head watching that show. As I think I said on Daren or Doug's blog, I could watch an episode of Space 1999 from start to finish and still feel like I missed a critical 10 minutes somewhere - or like I had walked into a movie 20 minutes late. I understand the people are speaking English, I know the words, but I have no idea what they're talking about. One lesson I learned from 1999: all the great special effects and explosions in the world won't save weak scripts, wooden acting, or disinterested direction. I think I lasted 5 or 6 episodes during the first run of 1999. 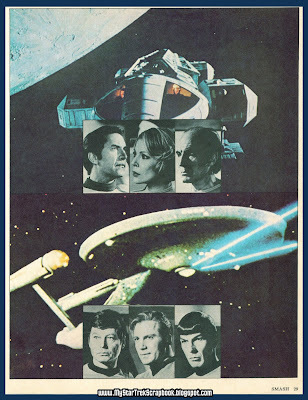 I think the thing that shocks me most in hindsight, is that Space: 1999 was actually promoted at the time as being bigger and better than Star Trek! ACK! 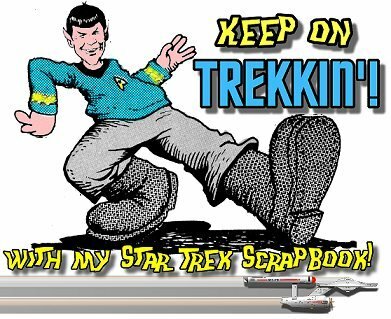 Bash away, I was one of those that resented it being touted as the "new and improved" Trek! They should market the DVD set of 1999 episodes as a sleep aid. I finally received my Space:1999 Megaset for Christmas, 2009. A couple of things. Although the series was a commercial flop, it still has its charm. Its shining star, of course, is Barry Morse who really was a type of Capt. 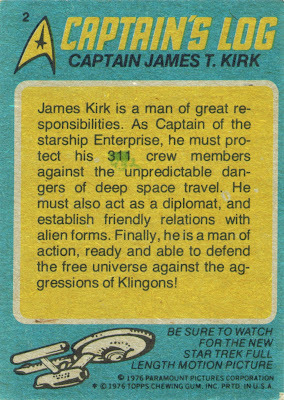 Picard before Patrick Stewart's Capt. Picard. I will always wonder if Stewart watched the show and took some of his Picard character aspects from Morse in his portrayal of Dr. Bergman. The one thing that did strike me as sad, though, is how the US's space program has fallen to the wayside since the 1970s. The producers of Space:1999 genuinely expected there to be a moonbase in existence by 1999. Wow, our government really dropped the ball on that one, didn't they. Let's just hope the scenario portrayed in the movie 2012 doesn't come true because the way our lacksidasical space program has kept us earthbound, we're just out of luck if it does. By the way, great blog! 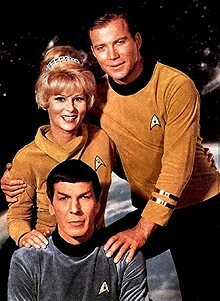 Trek on! 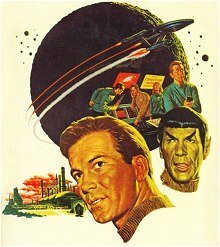 I was a big fan of Space 1999 when it came out (Season 1 only) and remember that a lot of Star Trek fans hated the show. I never understood why - this wasn't a competition and if Space 1999 had been succesful, it would have lead to more SF TV productions in its wake. Instead, we had to wait for Star Wars to do that. I really hadn't given Space 1999 too much thought unti, on a whim,l I purchased the recently issued Blu-ray edition of Season 1. I am surprised by how much I am enjoying it. Over the years, I have become a fan of many British TV productions and one thing that is really obvious to me now is how much Space 1999 is a British production in terms tone and pacing. I am not sure a lot of its critics appreciated this at the time and I think this negates a lot of the critics complaints about "wooden acting" or "slow pacing." Try watching "The Sandbaggers," a British series which may be the greatest espionage show in TV history - and you will see a lot of the same trademarks. 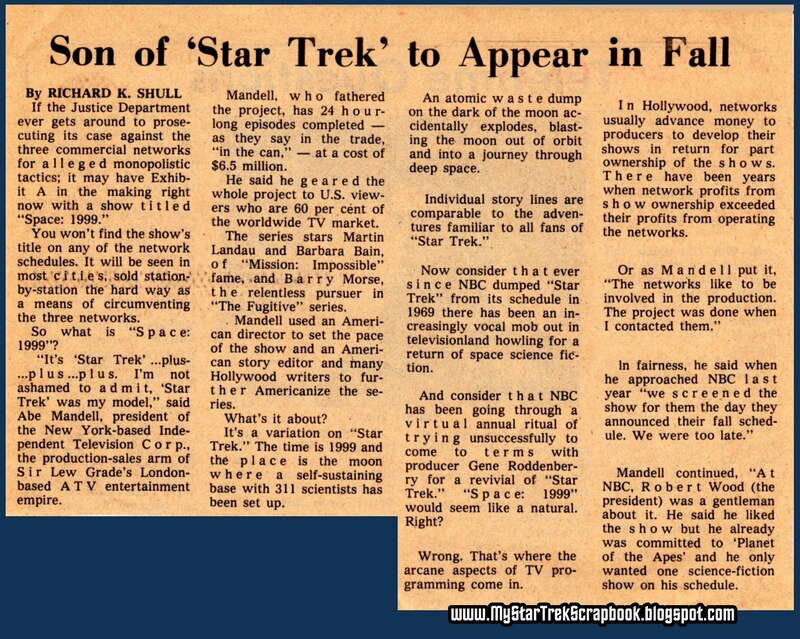 Somebody just linked to this site from a Facebook discussion about Fred Freiberger, who took over season 3 of Trek and season 2 of Space 1999. I only really have two memories of the first run of Space 1999. 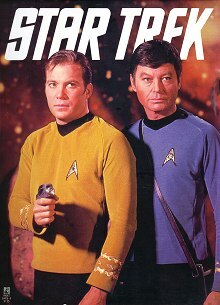 I can remember seeing the promos showing an Eagle crashing and because I grew up on Trek, I assumed that was their only ship, and if it crashed, how could they have a show? My other memory is of course "Dragon's Domain," which gave me nightmares, like so many boys my age. I agree with almost all of the earlier comments. 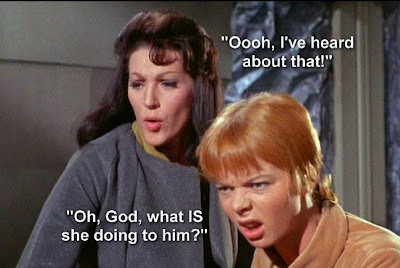 Space 1999 was slow and dull and often didn't make sense (not just the whacky premise, but the episodes themselves). The design was certainly interesting, but everything was white and the uniforms were white and thus it was rather boring to look at. It needed more color and a faster pace, and some action--all things that Freiberger tried to add to the second season without really knowing what he was doing. Looking back on it, the only real standout is the model and SFX work, which still looks good today. 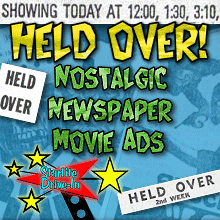 TV/Movie Pinups 1974 article: ST Up-Date! 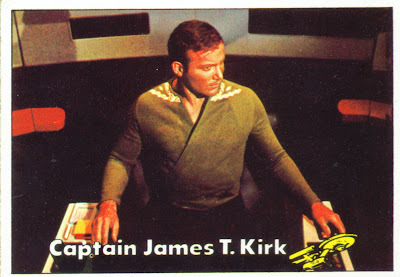 1974 TV/Movie Pinups "Star Trek Spectacular"